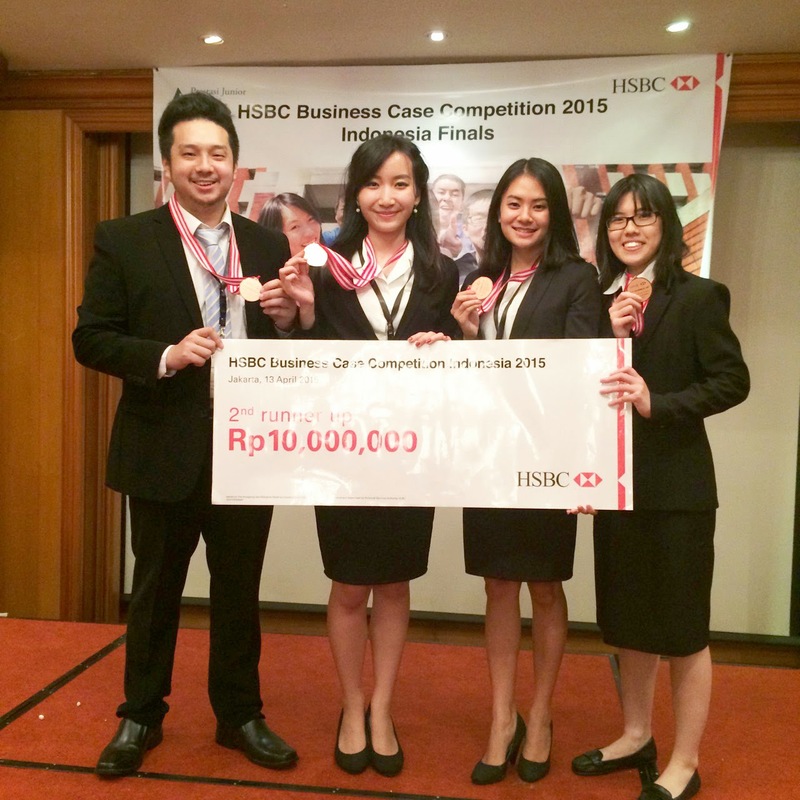 I wanna share the experience for joining HSBC National Business Case Competition last March! 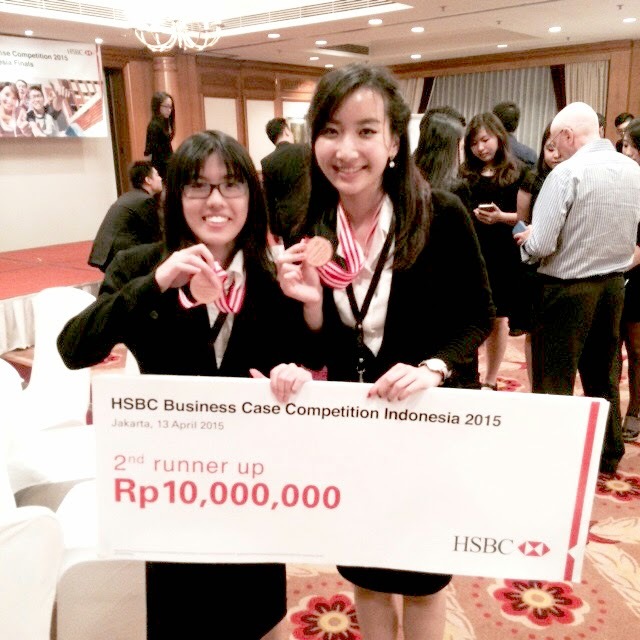 Me and my friends: Nerissa, Johanna and Wren was chosen to represent our campus Universitas Pelita Harapan- Karawaci. 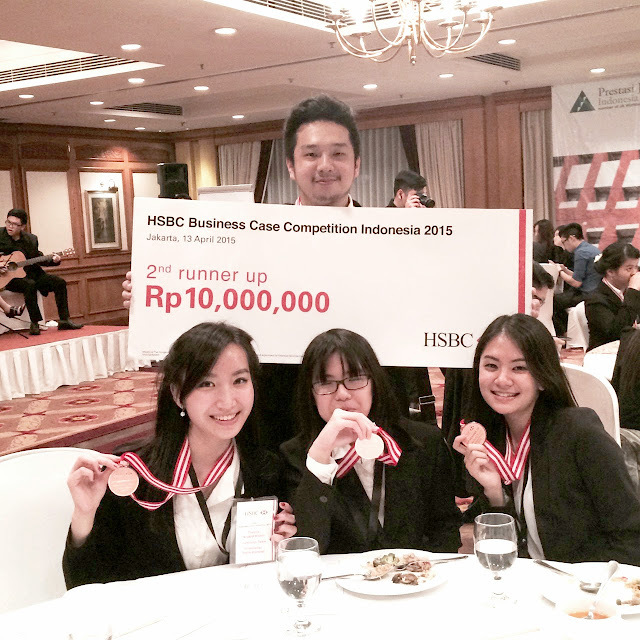 So happy we could win the 2nd Runner Up (3rd Place) while at the 1st position is Binus International University and the 2nd place is Prasetya mulya BSD Campus. Johanna, Wren and I is from Management 2013 and Nerissa is from Accounting 2012. 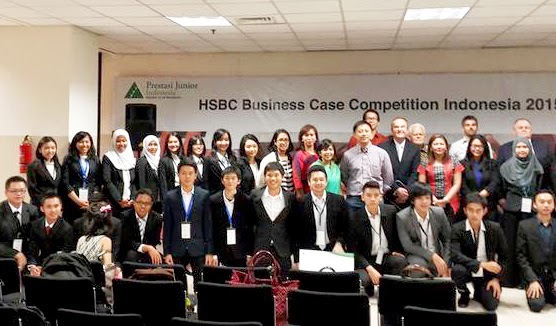 The competition was held at Binus Senayan (preliminary round) and for the grand final was held on Merchantile Athletic Building, World Trade Centre Sudirman (HSBC Building). We never thought we could enter the final! Simply because: first, Wren and i haven't done such an academic national competition so far. Yet, this is a business case competition. We need to find the core problems and propose the best solution we can offer. Second, we clearly didn't know what we should do when we get the paper. Since this is a very first time for all of us, we found this competition is tough! 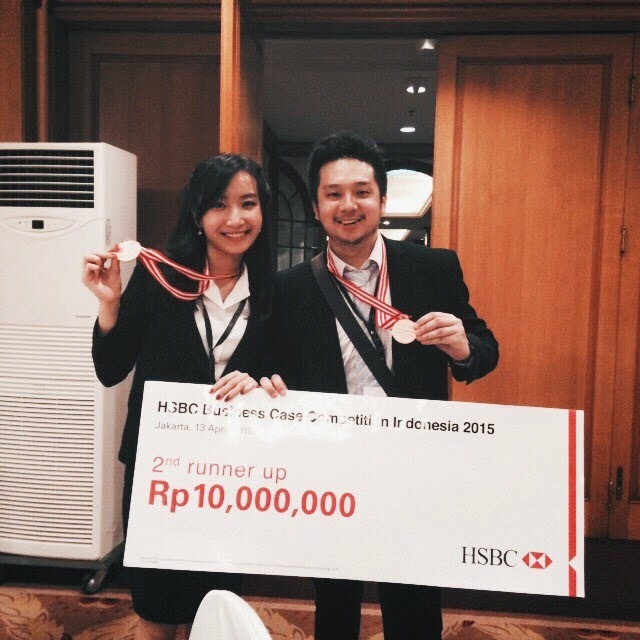 We got mentor whom was a former participant for the lasy year HSBC National Business Case Competition. He is Saagar, he was our senior at UPH too :) He gave us really great testimony and things need to do. 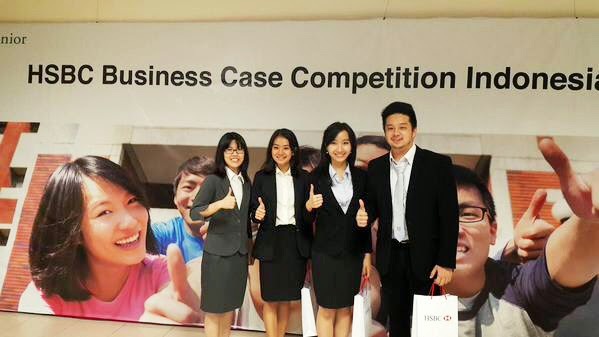 Third, the date of the competition fell right away after our campus final exam finished. The exam finished on Friday, and the competition was on Saturday. So we did not even prepare anything! All of our focuses and time and energy were given to the final exam. So we feel like we could not win this. Our preparation was so little, we do not have enough time to brainstorm and discuss. There are 8 participants from national wide well known univeristies, such as Universitas Indonesia, Institut Teknologi Bandung, Trisakti School of Management, Universitas Maranatha, Prasetya Mulya, Universitas Pelita Harapan, Binus National University and Binus International University. 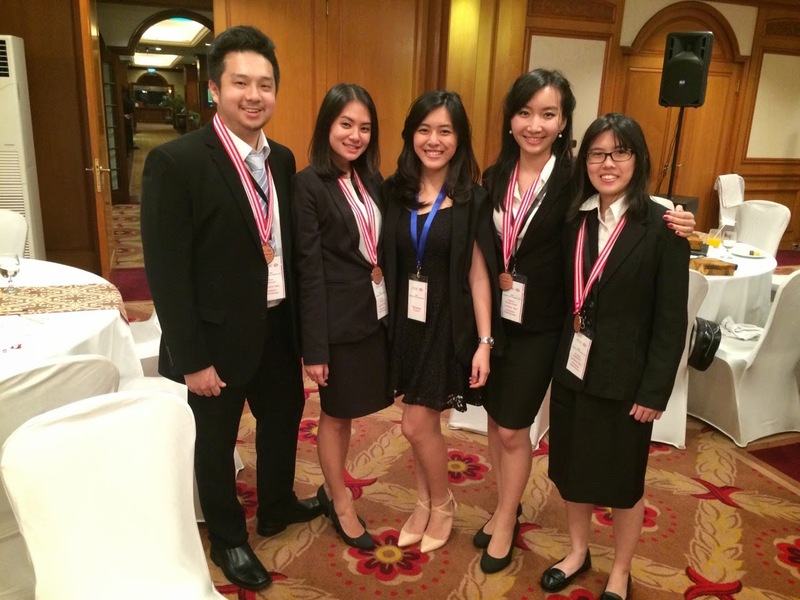 The preliminary round was conducted to choose TOP 3. The TOP 3 will compete again in the grand final. During the preliminary round, we are the first participant that came in to the quarantine room. At the quarantine room, we were not allowed to bring anything, even a pen. This competition takes 2,5 hours to read the casem brainstorm, decide and immediately put our ideas on OHP mika paper. We may present our idea through OHP, not a power point. This made the judges can analyze the way we think, the flow of our thoughts through steps written on the paper (can't be erased!). Next stage, we entered the judges room. There were 6 judges both national and international experts in business. I forgot all the names of the judges, only remember a few. They were all really charismatic and looked really impressive! So, we began to present our ideas. After we finished, it's time to face the questions and answer it the best we could. The questions were all really really tough, we frequently need to dig our brain hahaha. We even felt a bit ridiculous! So for one more time, we are so sure we wouldn't enter the grand final. Preliminary round has finished, we were so relieved as our tension and pressure (i guess) were soooo high in the judging room. 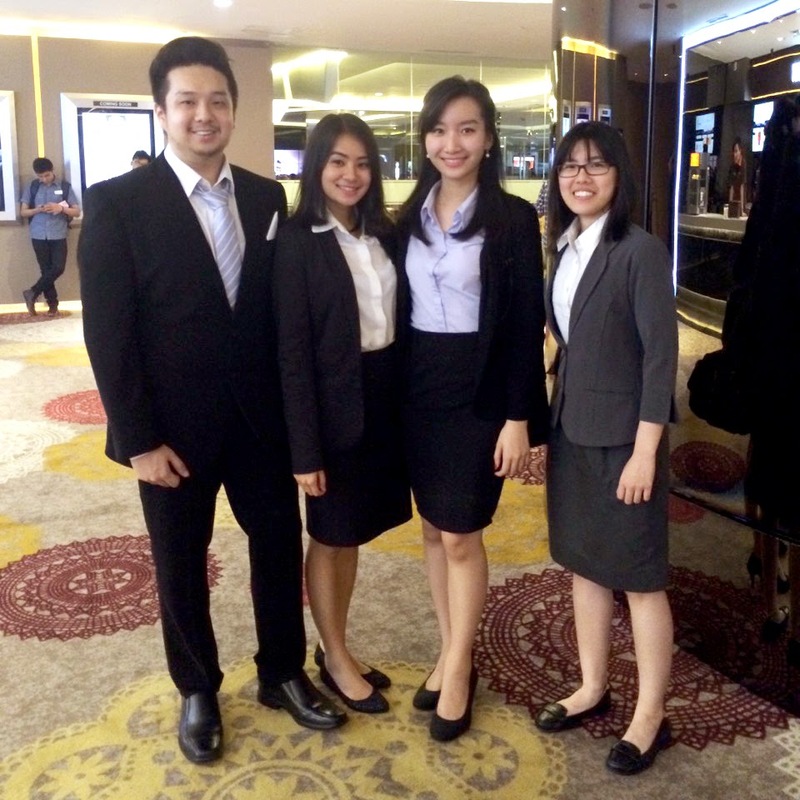 We also joined the seminars before the preliminary round begins. 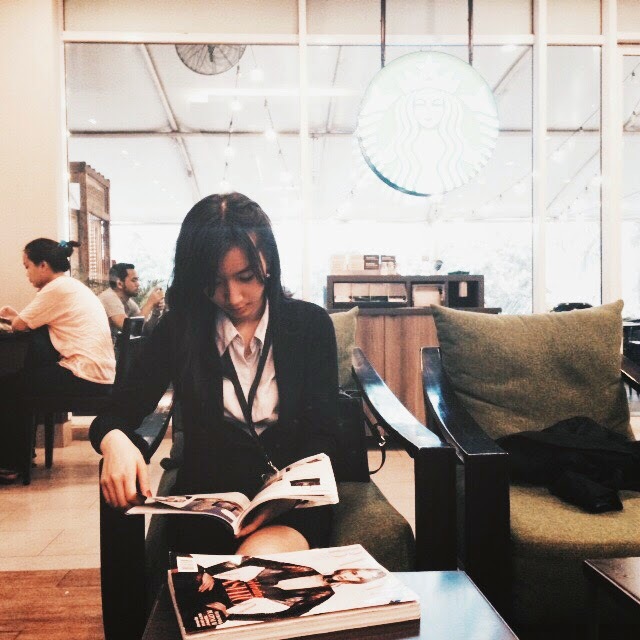 it was on FX Lifestyle Centre sudirman, and the seminar was weld on a cinema. Couldn't be more cool! ;p All of the speakers are also very excellent business man, they take charge in their aspects. 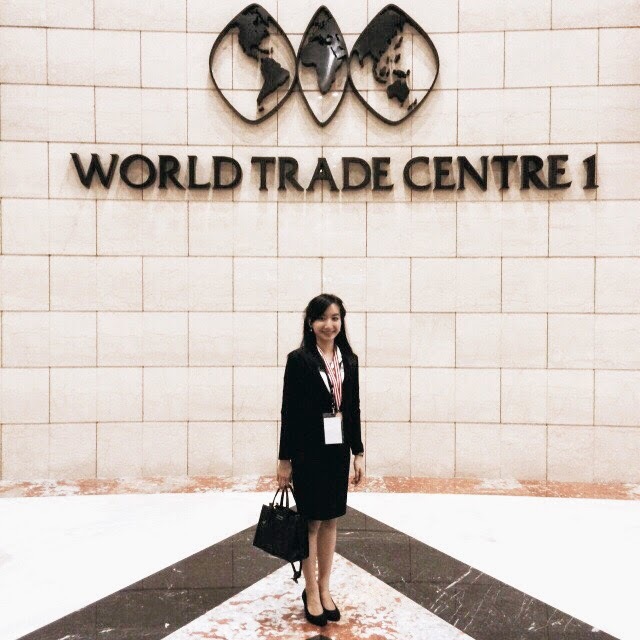 There was the CEO and Founder of BUBU.com, a very energetic young lady who has passion in digital website and e-commerce. We got inspired a lot from all of the speakers. 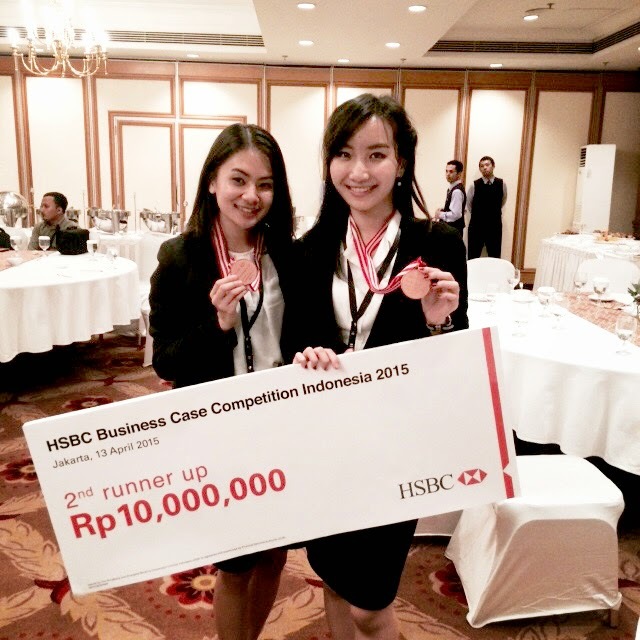 At the HSBC competition final round, we also repeat the same steps in the competition. 2,5 hours in the quarantine room and 20 minutes presenting time in front of the judges. 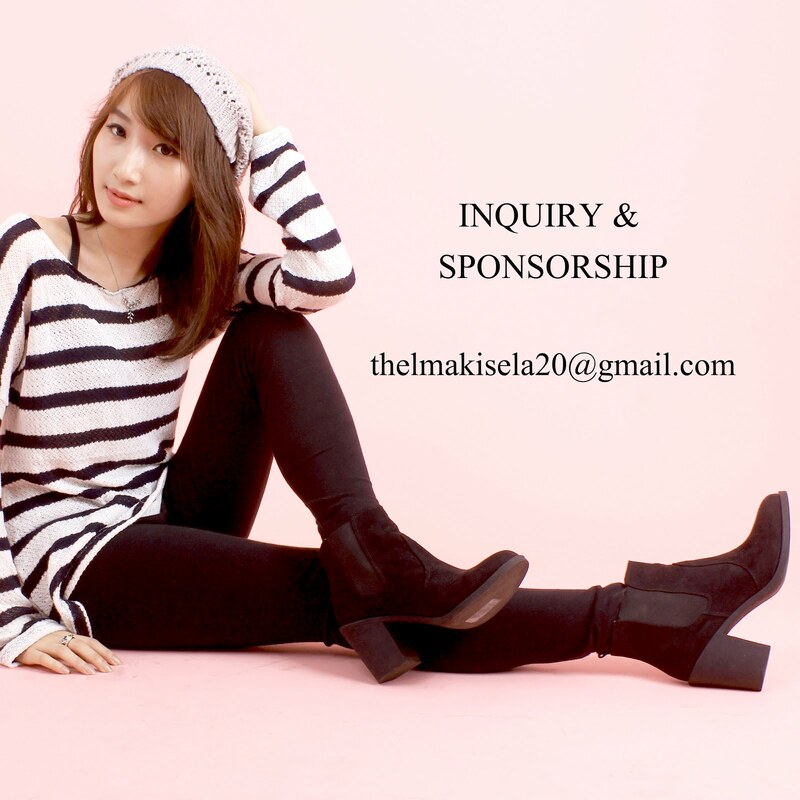 For the grand final, we are allowed to invite 5 persons to be our supporters. My mom also came, thanks mom for the support! <3 We also accompanied by our lovely mentors Mrs. Ritha and Ms. Patricia (my lecturer in UPH). After explained our ideas and answered the questions, we have to wait other participants in the quarantine room. After all were finished, we were allowed to enter the dining room. They've set a mini gala dinner. The food was very delicious! 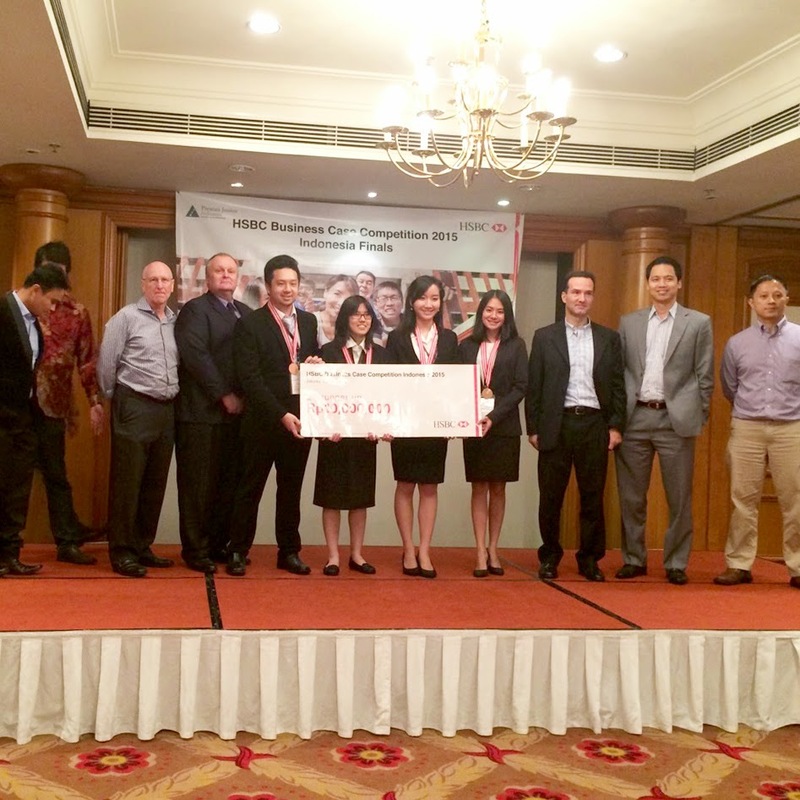 when the time came up to the announcement, they announced UPH as the 2nd Runer Up (third place)! We are beyond happy and grateful. We are not disappointed at all for not becoming the 1st champion, because what we received was so much more than becoming in the 1st place! Even we could enter the grand final, it was still VERY SURREAL for us. Above all, i thank God for His kindness. We are VERY SURE this is not our work. It's God's. It was really seem impossible to get through this competition and even win the third place. God's involvement was really there. We realized, before the competition begin, we prayed and surrendered all things might happen, but we still need to work hard for this. Indeed, Let we do the best and God do the rest.